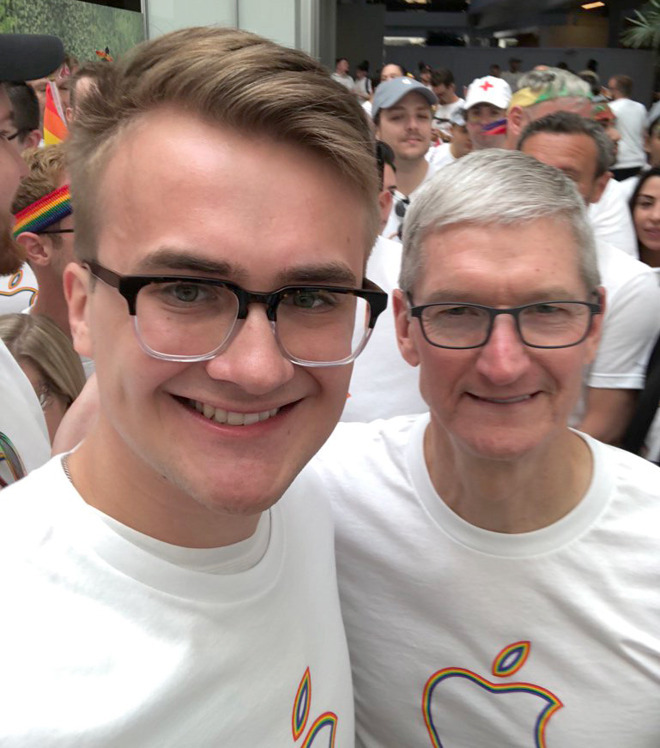 Apple has once again claimed a score of 100 — the highest possible — on the Human Rights Campaign's Corporate Equality Index, gauging U.S. businesses' treatment of LGBTQ people both in and outside of the workplace. The company has held that score for many years, now up to 17. This year a record 570 companies achieved a perfect score, reflecting growing societal and political pressure to respect LGBTQ (lesbian, gay, bisexual, transgender, and queer) rights. Only a handful of ranked technology companies scored below 50: Allscripts-Misys Healthcare (20), BMC Software (45), EarthLink (35), Imation (30), ITT (25), KLA-Tencor (20), Nortel Networks (30), Software AG USA (40), Software House International (10), and finally WESCO (40). The HRC withheld a ranking for Google — which like Apple, normally receives perfect scores — in protest of a "conversion" therapy app on Google Play. Conversion therapists, typically fundamentalist Christians, claim that there's no genetic basis for homosexuality and/or that it can be "cured." In reality this can do psychological damage to patients, and some politicians and medical groups are accordingly pursuing bans on conversion therapy for minors. The app was created by Texas' Living Hope Ministries, and pulled from the iOS App Store in December, Fortune said. The group later complained about the ban in a blog post, challenging the link with conversion therapy. Companies on the Index are judged by their non-discrimination policies, employment benefits, and their corporate culture and social responsibility, including public stances. Apple's Tim Cook was the first openly gay CEO of a major U.S. corporation, and has repeatedly spoken out in favor of LGBT rights. His company been accused of hypocritical silence though in regions like Russia and the Middle East, where LGBT people can face persecution, imprisonment, or even death.